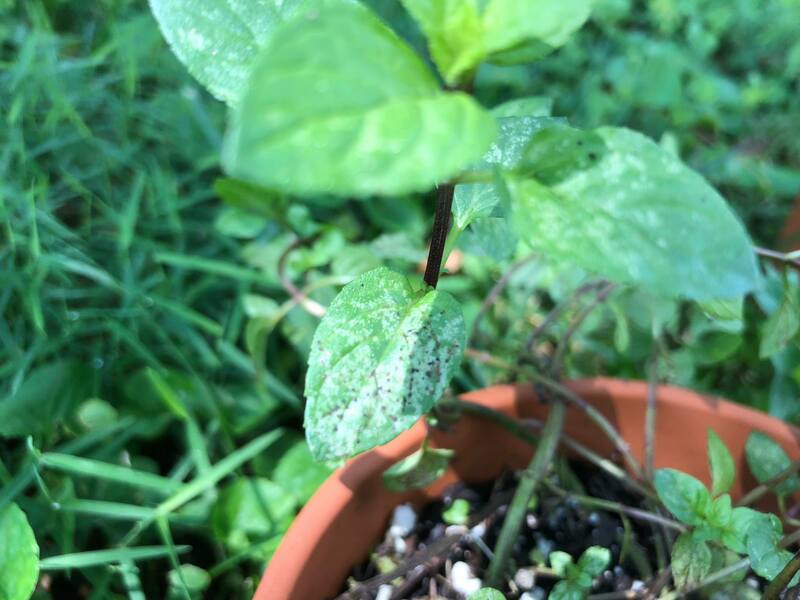 I was wondering if my Chocolate Mint plant had some type of disease? 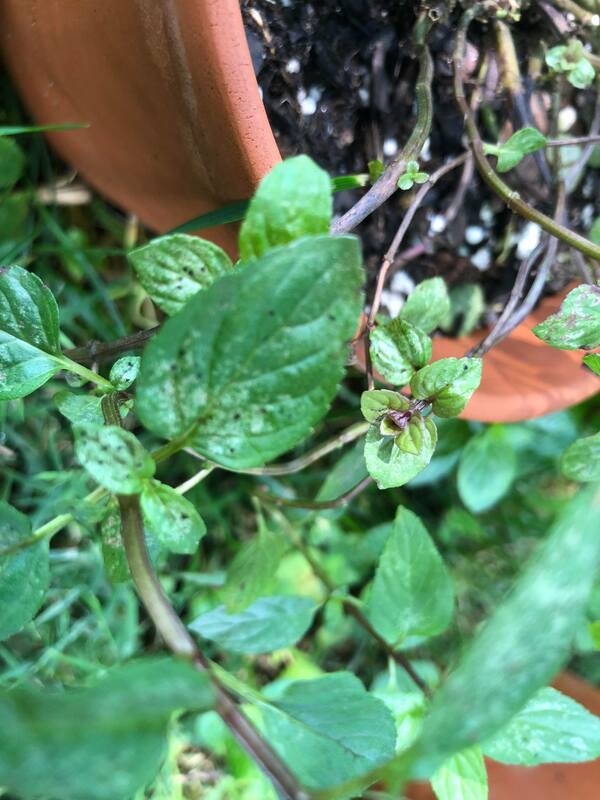 So, I've had this Chocolate Mint plant for about a month now and some/most of the stems are brown. Some leaves on this plant also have brown spots on them, but not all are affected! 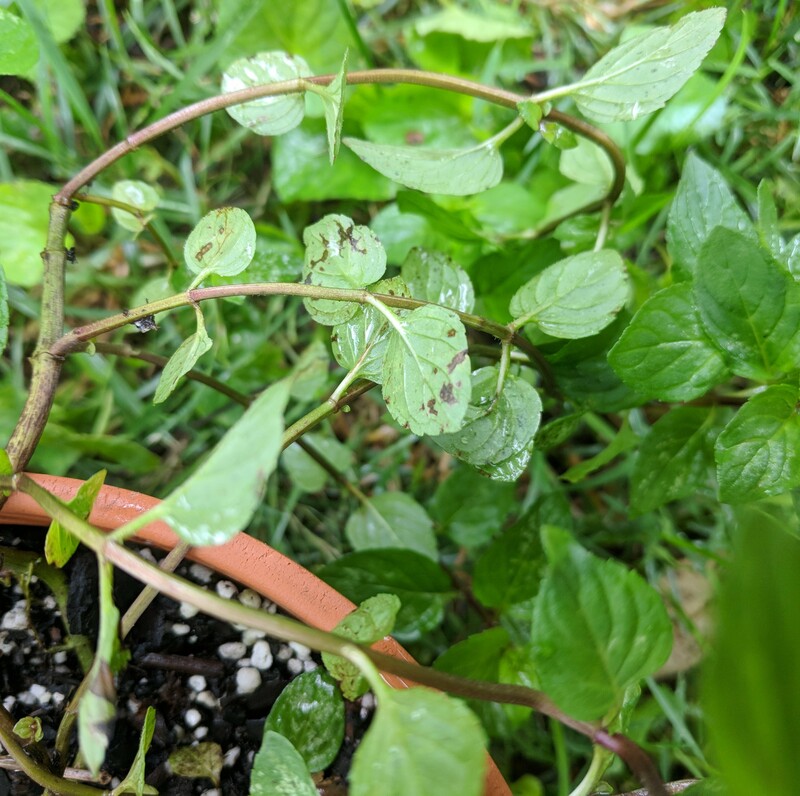 So my question is: does my mint plant have a disease, too much sunshine, or something else?? Thanks in advance!! Edit: Here are the bottom of the leaves!! Without looking at these plants closely with a microscope the the best I can say is this is a fungal infection, I suspect its Fungal Blight based on the lack of yellowing around these spots on the top of the leaves. On top of this your going to want to throughly rake the patch and clear the bases of these plants of debris. Prune (heavily) to increase air flow and slow down your watering schedule. As I said the prognosis is grim. The "infection" has seemed to spread throughly. If you have sections of the patch still uninfected than I suggest you simply remove the infected sections entirely. 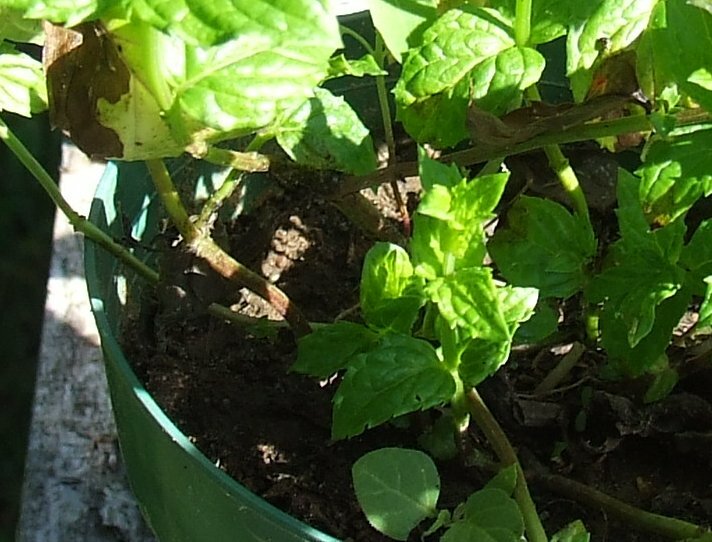 Be sure to sanitize your gardening equipment before and after working with your mint, you woulnd't want to infect your tomatoes or what-have-you. These fungal infections can and will spread. Another thing to consider is that the plant may be pot bound. 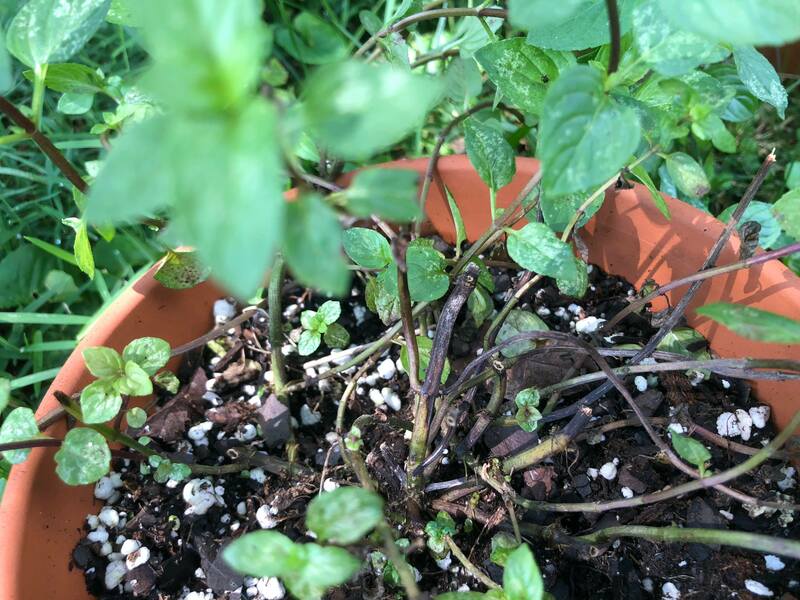 Here is a mint that looks like it is suffering: out of shot it is clear that the plant is going to flower. 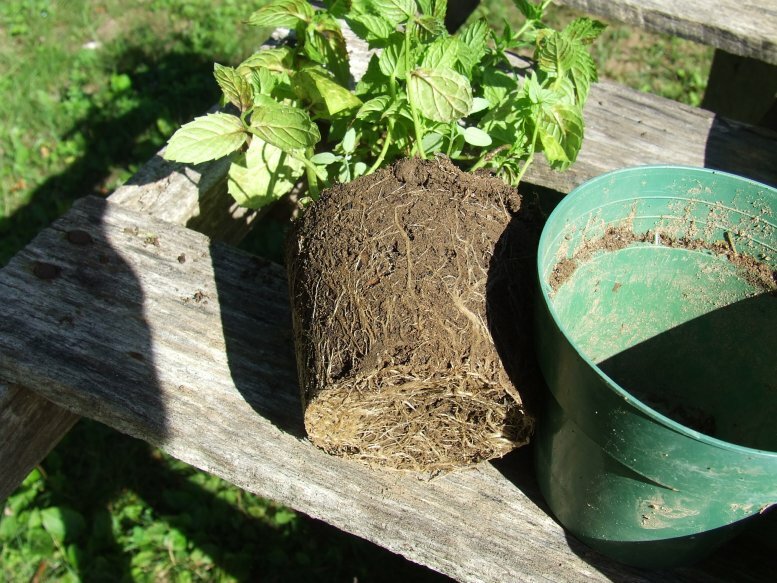 And here is the same mint out of its pot: Note the matted roots at the bottom of the root area. Very easy to check, just knock it out of the pot and look at roots. Mint is a heavy feeder and likes to have room to grow. If it cannot get nutrients then it will steal from other parts of the plant to feed the flowers and attempt to set seed. Not the answer you're looking for? Browse other questions tagged diseases or ask your own question. What is the white stuff on this cactus-type plant? 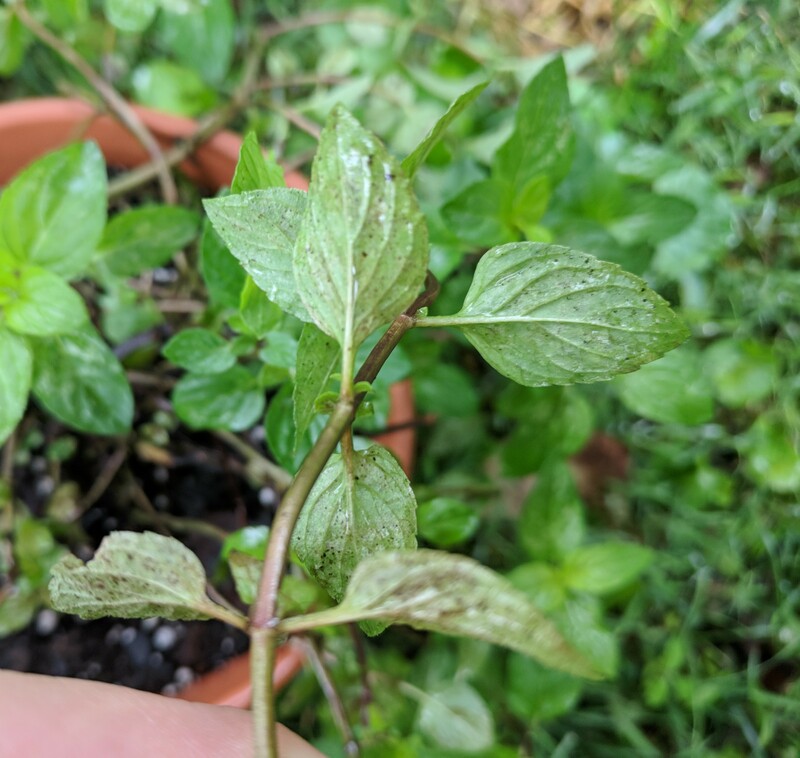 Why are the leaves on my mint plant drying up and brown bumps are forming on the stems? What are these barely visible white spots and brown edges on my citrus plant? 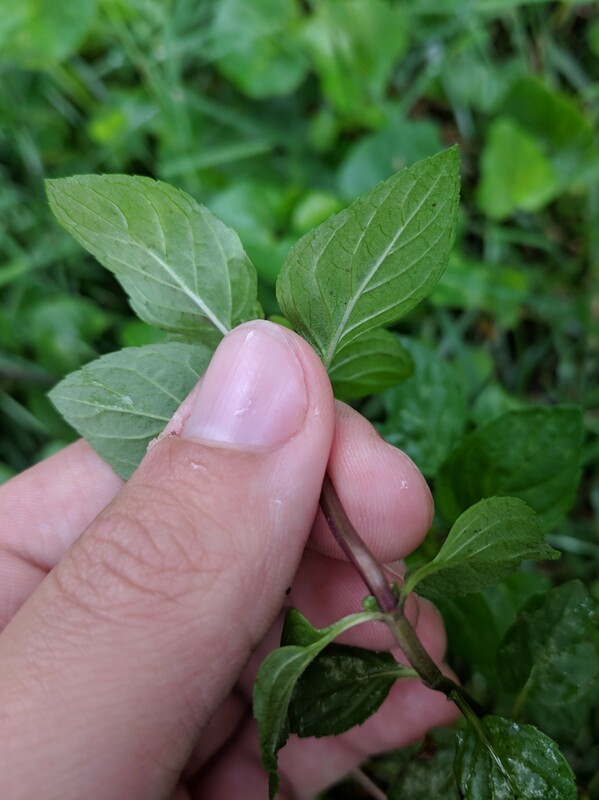 Should I be worried about brown spots on my mint leaves? What is this tomato disease? What pest is affecting my tomato plants?